Welcome to my mini-series of inspiring tweens to be creative over the summer. How about a week focussing on woodwork? My husband and I are united in the thought that if we don’t teach our children DIY skills no one will. There is no doubt it can be nerve-racking handing an electric drill to a tween, but with good supervision, great projects can be made together. My children love the feeling of accomplishment when they make a project (I may have mentioned before that it is one of my regrets that I was never taught any woodwork skills at school). 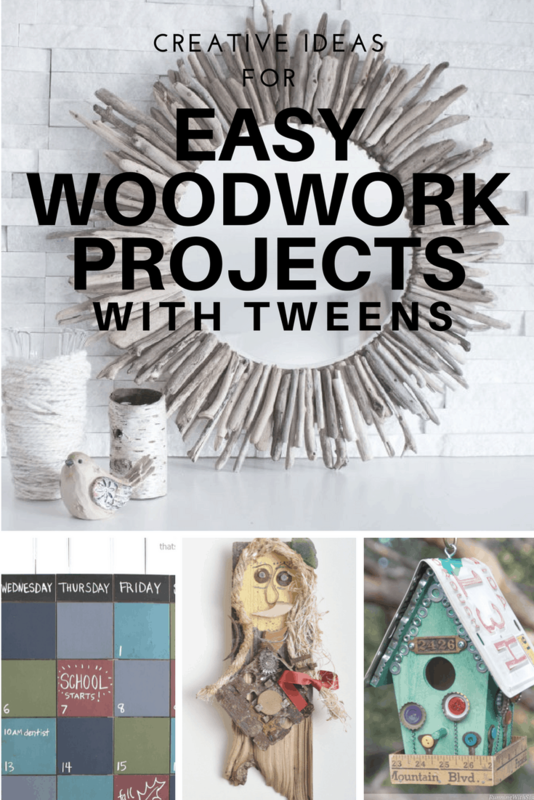 Develop new skills with your tweens with these easy DIY woodwork projects. Bird Houses – These can be such fun, decorated with maps, fabric, all sorts. 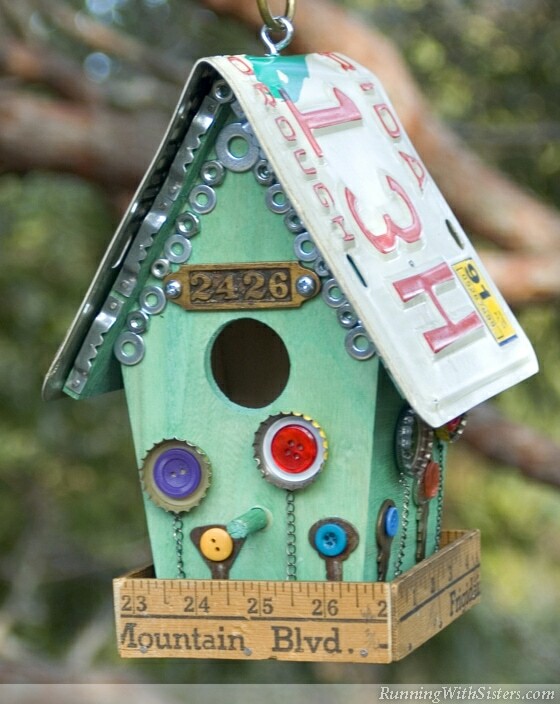 I particularly love the recycled/upcycled feel of this birdhouse one from Running With Sisters. You can find instructions to make a bird house here. 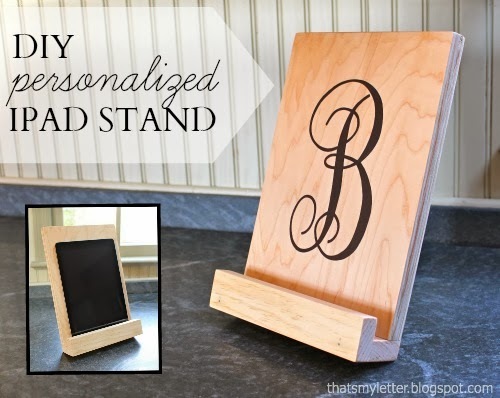 Easy Tablet Stand – There are lots of tutorials for IPAD stands out there, but this one is straight forward using basic tools. Find the tutorial at That’s My Letter. 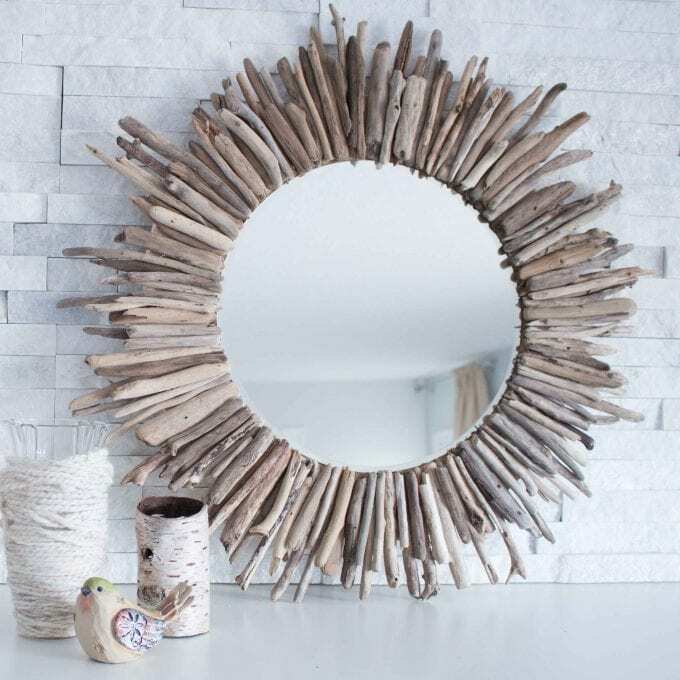 DIY Driftwood Mirror – the instructions for this gorgeous mirror are detailed, using a jigsaw to cut out the frame. I suspect, with patience, you could find a round mirror already constructed and decorate. This project from sustain my craft habit involves some skill but it is so gorgeous I couldn’t resist including it! 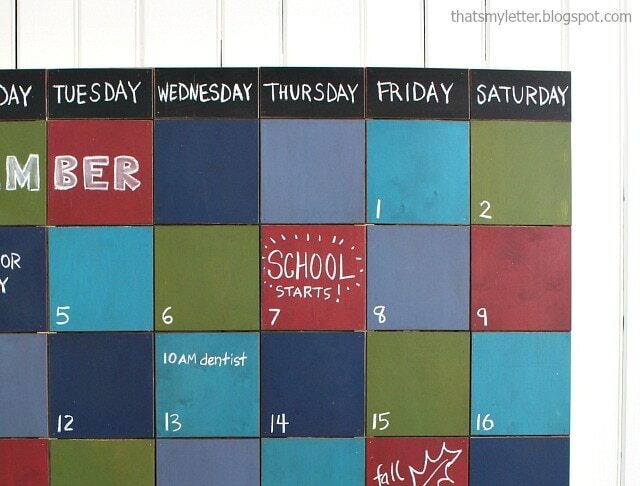 DIY Chalk Board Calendar – this project is a little more involved, but step by step achievable. Find the tutorial at That’s My Letter. Your tween will be able to see at a glance their personal calendar. 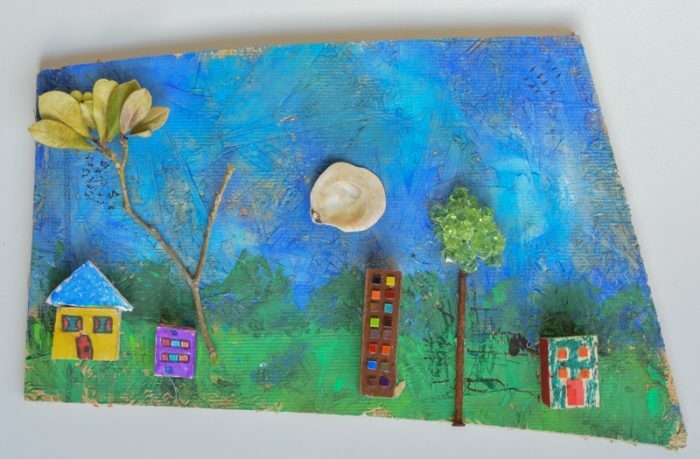 Wood Wall Art – Find a collection of random items, pieces of wood, rusty objects, chalk paint – have fun creating a mixed media collage. 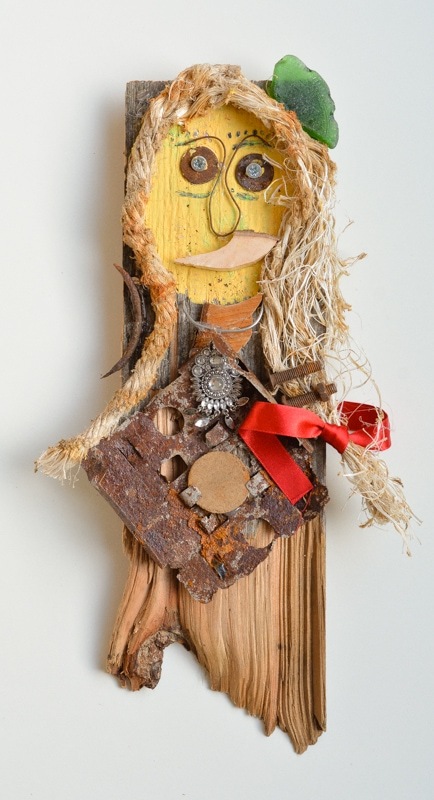 You can use a glue gun to adhere the various objects together. "How to make an easy DIY Headboard"
"Easy Crochet Cushion- for the none crochetter"
This are very nice ideas. I love woodworks! It looks like original and natural! Little bit north European style. Thank you for your sharing. Every time I read your post, I will get new inspiration for crafts. Hey Vicky I love these ideas, thank you for sharing, I’m in the middle of finding ideas for bird houses to add to the garden and I might just have found the perfect birdhouse that really shows off my personality!